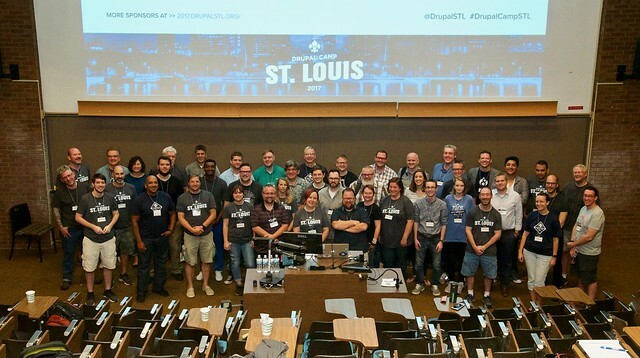 Thanks to Kevin Thull of Blue Drop Shop, we have posted recordings of all the Camp sessions and keynote to the Drupal St. Louis YouTube channel. Jeff Geerling and Ken Moire took photos during Drupal Camp St. Louis, and you can see some of them in this album: Drupal Camp St. Louis 2017. There is also great conversation and photos in the #DrupalCampSTL hashtag on Twitter, and on Instagram. Thanks to all who helped make this possible (especially our wonderful sponsors! ), and thanks to all the speakers and participants who made this our largest Camp yet!